How can we engage employees in the ever-distracted working world? Karen Plum from Advanced Workplace Associates delves into vision and goal clarity, social cohesion, and more. With the amount of surrounding distractions – mainly due to technology in one way or another – Employers truly have a battle on their hands in terms of keeping employees engaged in their work. Organisations should be considering how to become magnets for the best talent, and once the talent is onboard, find ways to keep them invested, engaged and interested in their work. According to research carried out by OfficeVibe in 2017, only 13 per cent of employees worldwide actually feel engaged in their work, 41% do not feel they can develop and grow in their organisation, and a staggering 51 per cent are actively looking to leave their current jobs. That said, a vast 80 per cent of employees surveyed said they would happily work longer hours if their employer was more empathetic towards them, and 70 per cent said they would like to spend more time with their managers. So, what can be done to help improve this clearly distracted and disrupted relationship between employees, employers and the work they carry out? 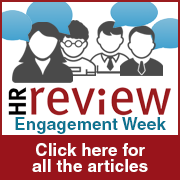 The answer for many is to improve “employee engagement” and I don’t disagree, but people often talk about engagement in terms of staff happiness or satisfaction – so firstly I’d like to be clear about what engagement means to me, before discussing what can be done to promote and support it. Forbes describes employee engagement as “the emotional commitment the employee has to the organisation and its goals”. So, to help with said engagement, we should be looking to focus in on particular methods of keeping teams motivated and invested in their work and tasks, to even stand a chance at retaining top talent. Advanced Workplace Associates’ (AWA) research has found six main factors which contribute to workplace productivity and efficiency, which can help to support the focus of both employees and employers. In other words, when people get on with each other in their teams, with others, and with senior leaders, they feel comfortable in sharing their ideas and knowledge. They’re also happier to engage in discussion for the greater good and they feel safe in expressing their views, regardless of the seniority of their peers or managers. A focus on developing and sustaining good relationships (and really knowing each other as people) is key. People need to feel that the person they report to is positively supporting them and helping them achieve their endeavours; without the pressure of constantly needing to please and impress. This is important because people tend to recognise the relationship they have with their ‘supervisor’ as a proxy for their relationship with the organisation. Hence, if their relationship with their supervisor is poor, their view of the organisation will be similarly poor, potentially leading to the withholding of discretionary energy – and ultimately to them leaving the organisation. It’s about creating a culture and IT infrastructure for sharing knowledge and treating the whole team and the wider community as a ‘knowledge memory’ so that team members can short circuit the search for the best sources of knowledge and avoid re-inventing the wheel, as it were. You need your employees to be focusing their energy and efforts on similar goals and achievements, to stand a chance of completing them! Give them freedom to innovate within agreed boundaries, which will then keep them emotionally engaged with the work they do, and understand how it fits into their team’s vision and the organisation’s goals. We all need our work to have meaning. People benefit from exposing themselves and their knowledge to the views and experiences of diverse groups of people outside their immediate team and organisation. This helps to shape and challenge ideas, and bring back new insights to the organisation to fuel innovation and to maintain their vigour. It also helps stave off “group think”, and encourages people to be open to new ideas. People need to feel that those around them will act in their best interest, that the knowledge they contribute will be used responsibly, and that they can depend on the knowledge, advice, skills and abilities of their colleagues. They need to keep their promises, demonstrate trustworthy behaviour and actively manage these trusting relationships to protect them. The key fact to remember is that employers should aim to create an environment which actively encourages engagement. Set clear goals, keep open communication, recognise and reward your employees’ efforts, be generous with your offerings of knowledge, opportunities and development, and ultimately; nurture your workforce. I firmly believe that if you look after your employees, they will look after you, and in turn, your business. If you have good relationships with colleagues, with mutual trust, working in an environment where everyone feels supported by those around them, then you stand the best possible chance of attracting and retaining the best talent, and will thus enjoy a mutually beneficial working relationship.